Spring is here, DC! Take advantage of the great weather and beautiful scenery by walking, running, or biking to the Francis Scott Key bridge, the National Mall, or to the Georgetown waterfront! 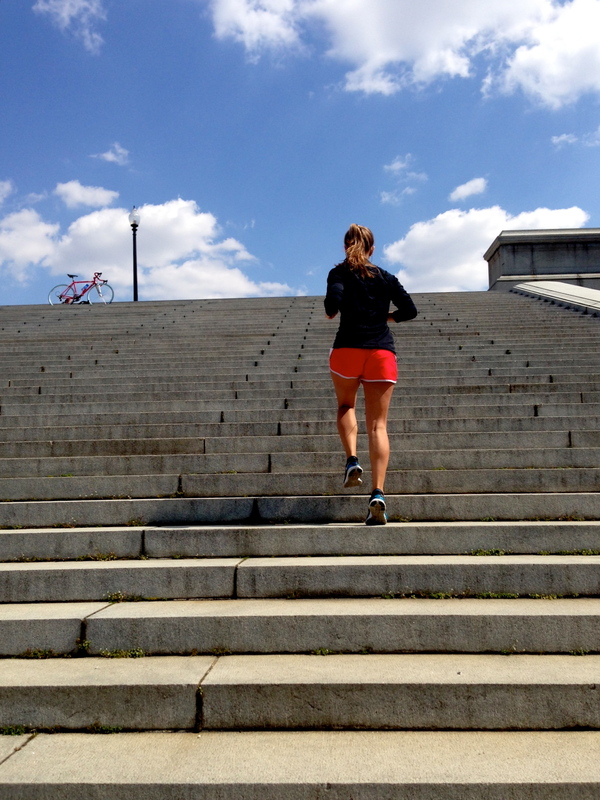 I started my day by getting in a tempo run plus some derriere toning exercises by running stairs. This will increase your heart rate, warm up your muscles, and build your endurance. Get goin’!